This urban church houses a unique congregation in Cleveland, Ohio. With dwindling or relocated congregations, urban churches from a variety of denominations are being closed and decommissioned at a staggering rate within Cleveland’s urban core. A congregation of diverse socioeconomic and spiritual backgrounds, this church has fought to continue its ministry within the blighted neighborhood it calls home. In order to sustain its ministry, the church made the choice to move out of its over-sized and costly to maintain historic building. The congregation functions on a shoestring budget funded largely by donations from partner churches, thus the new facility had to be extremely low cost to build, operate, and maintain. 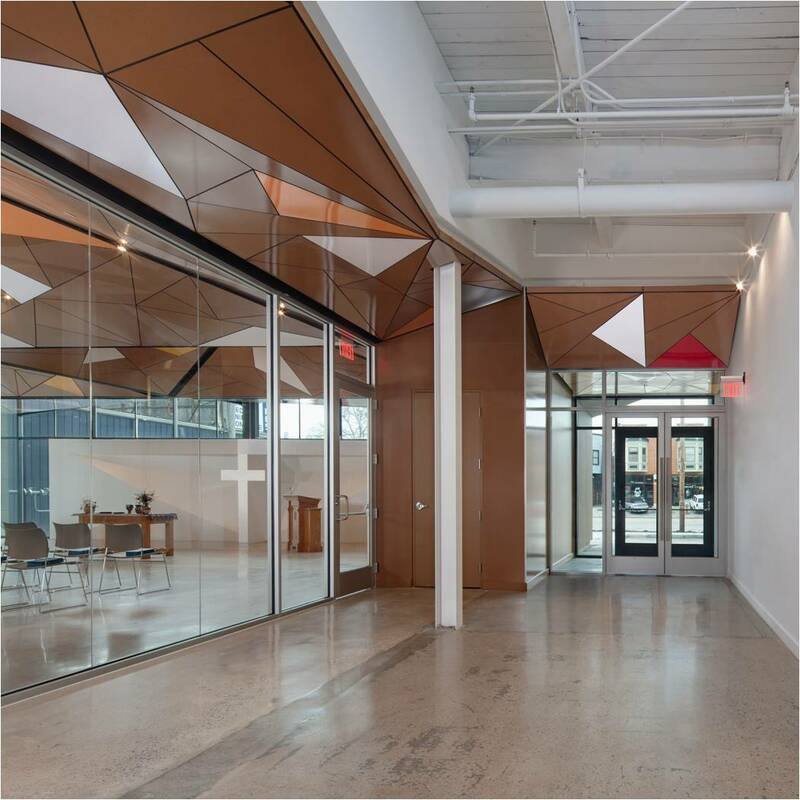 The site for the new church is an existing abandoned industrial warehouse building where the church is strategically collocated with a series of affiliated nonprofit social organizations. The church desired to have a unique, distinguishable, and inviting image within the larger complex. 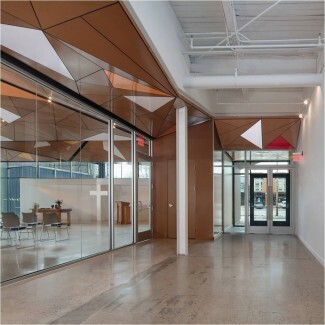 Spatial limitations in the existing building meant the sanctuary was required to be a shared space with all tenants providing large meeting and assembly spaces divisible by movable partitions.